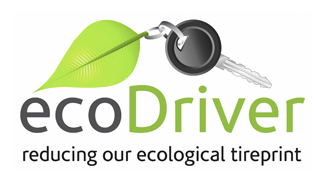 EcoDriver is dedicated to helping you save money and the environment. The good news is that there are many ways to reduce fuel consumption and carbon dioxide emissions, through driving habits, vehicle maintenance, choosing a fuel-efficient vehicle and considering alternatives to driving. And all these measures can translate into big savings at the pump. Reducing fuel consumption by just ten tanks a year can save you hundreds of dollars, and reduce your personal CO2 emissions by almost a tonne. Reducing fuel consumption by just ten tanks a year can save you hundreds of dollars, and reduce your personal emissions by almost a tonne. That’s because every litre of gasoline that’s burned in a car’s engine releases 2.3 kilograms of carbon dioxide into the earth’s atmosphere - and carbon dioxide is the primary greenhouse gas contributing to climate change. When it comes to how we drive, the difference between the most fuel-efficient and least fuel-efficient drivers on the road is in the range of 35%, and a poorly tuned vehicle can create up to 50% more emissions and use considerably more gas. Follow these easy driving tips to get the most mileage out of your vehicle – and save money - while reducing carbon dioxide emissions at the same time.